The French Quarter is one of the hottest tourist destinations of New Orleans (or NOLA) but it also has a reputation for being a place that is not always the safest as well. I went on a trip to NOLA in December last year and loved the French Quarter and wished I had more time to spend there because the atmosphere is unlike anything I had ever experienced. There were so many delightful things to see and do and as someone who loves architecture, I was in absolute heaven. 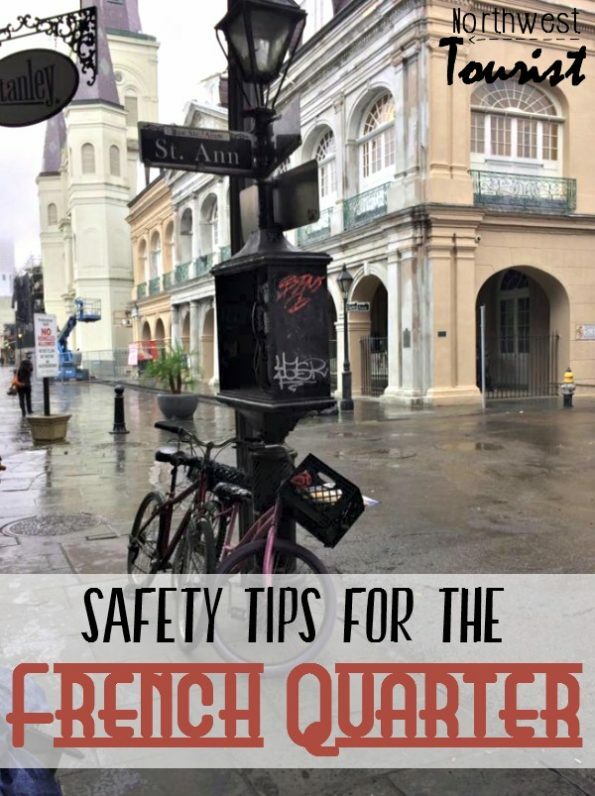 If you are heading to the French Quarter for the first time, here are some safety tips while you are there so you can truly enjoy your visit. Never be out alone, especially at night– I broke this rule when I was there, but I stuck in the highly populated areas of the French Quarter and carried an umbrella with me.I didn’t have a choice since my companion had to take an earlier plane, but I would not recommend it. Map out where you are going– Figure out the places you want to go before you even head out for the day. This will help you not only stay safe, because you will be walking with a purpose, but you will also spend less time wandering around lost which can make you look easy to target. If you aren’t sure where to go, check out my favorite French Quarter Destinations. Don’t make yourself a target– To keep yourself from being a target is really just using common sense. There is a fair amount of petty crime in NOLA and that means theft, usually. You can avoid being mugged or having something stolen by not looking ‘rich’, leaving jewelry at the hotel, making sure you keep you camera on a strap and the same goes for your purse. I brought a small cross body bag to carry with me that only had exactly what I needed for the day in it. STOP looking down at your phone– Looking down at your phone or flashing your new iPhone 7 is a surefire way to make yourself easy to steal from. If you must check your phone, duck into a restaurant or store or have a friend be a lookout. Wear comfortable shoes– Not only will you be doing a lot of walking, but this also makes it easier to get away should you need to rather than some fancy shoes. 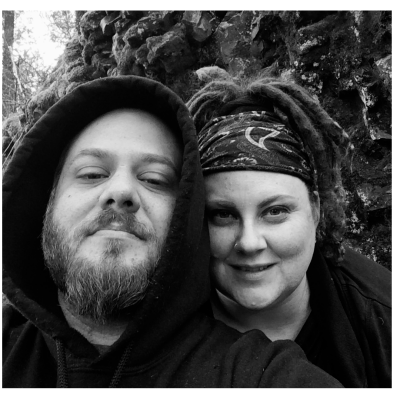 If someone gives you the creeps, you are probably right– There are lots of friendly people in NOLA. I found the people there to actually be incredibly friendly, actually. However, there are also people that specifically look for tourists to take advantage of. If someone is giving you the super creeps, follow what your gut says. There are lots of police patrolling the streets of the French Quarter, especially as the sun goes down, so make sure to report folks that you feel were trying to do something funny. Uber it if you can– The French Quarter is totally walk-able and with the trolley, it is even more so, however, if it’s night, you might want to consider an Uber if you want to get from one end to the other or downtown. I found Ubers to be incredibly cheap and convenient with in NOLA. Don’t fall for scams– There are scammers on the streets of the French Quarter and they will usually try to get money from you with a riddle. If someone asks you a riddle, politely, but assertively say you aren’t interested or don’t let them stop you at all.